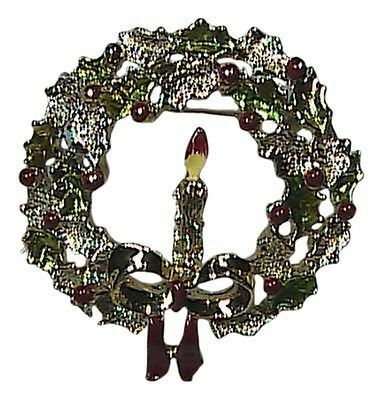 This is truly nice Vintage in mint condition, Christmas Candle Brooch. Weigh 21.6 grams. I only accept Paypal. Payment due within 3 days. My free shipping only for continental US (48 states). By any chance your items delayed please consider its out of my hand. All parcel are delivered with confirmation. Global shipping international. Good communication is all I ask. I accept return if I misrepresented the item. So please check the item(s) properly before buying. All Item's in Every Listing is Much Larger than they appear close up shot to be able to show you more details. Contact me within 3 days after receiving the merchandise. You have 14 days to return the items. Refund MINUS shipping cost. Please provide a tracking # if you may. View my other items If I make a mistake, Please contact me first so I could Help you and correct our transaction provide for both of us for a positive outcome. "CONTACT SELLER "